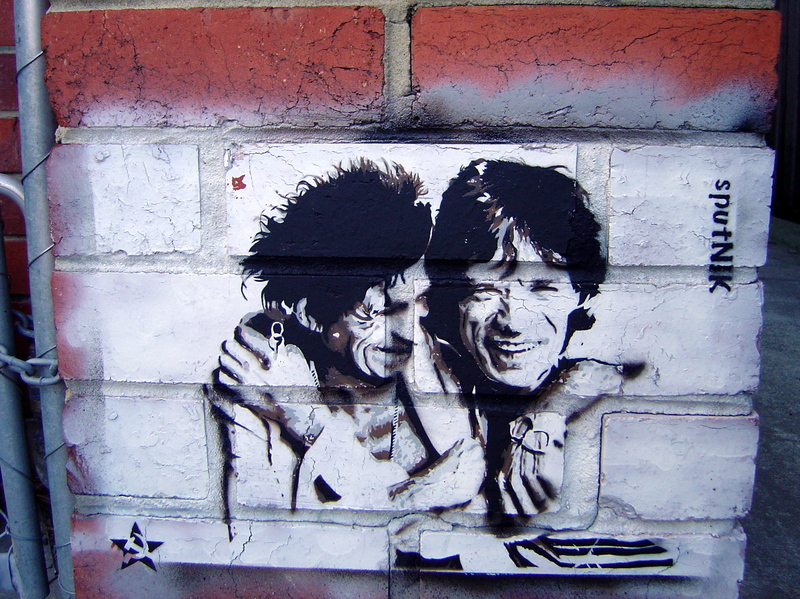 David Hurlston, curator of Australian art at the National Gallery of Victoria, said Melbourne’s street art was “the most distinctly identifiable cultural and contemporary artistic movement to have occurred in Australia over the past 30 years”. I’m always suspicious when I hear Australians make the claim “amongst the best in the world” even when they are quoting a foreign visitor like Banksy. But people often ask me where does Melbourne street art and graffiti rate compared to other cities in the world? I thought that I’d take a different approach and count the references for cities listed in Cedar Lewison Street Art – The Graffiti Revolution (Tate Publishing, London, 2008) Melbourne comes out in at number 5: New York 34, London 15, Sao Paulo 9, Paris 7, Melbourne 5; with 2 each for Madrid, Berlin, Bologna and Bristol; and 1 for Los Angles, Liverpool and San Francisco. More research is still needed; a larger data set of books, but you can see the approach to take. Perhaps a more interesting topic that rating Melbourne is to look at how various elements contributed to this creativity from the public transport structure to other parts of city design. The radial spoked “intergrated network” of public transport created an accessible centre of activity (in the same way that it has concentrated drunken violence). And this ensured that in the 1980s painted train carriages could be seen on any of the suburban lines, now the trains are mostly graf free but the walls along all these train lines are still painted. Paintspotting* in various cities around the world (New York, London, Paris, Dublin and Greece) it is clear to me one reason why Melbourne is so highly regarded. 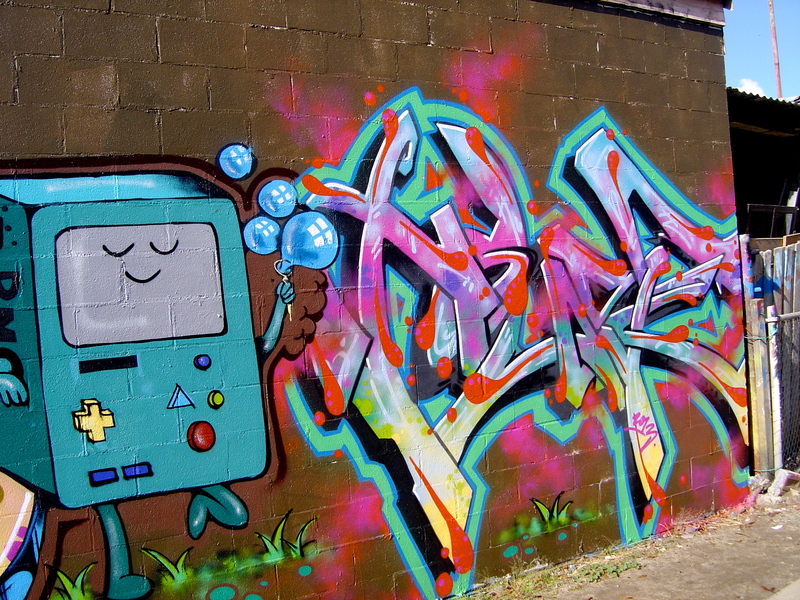 The street art is so accessible; you don’t need to explore very far in order to find some great pieces. 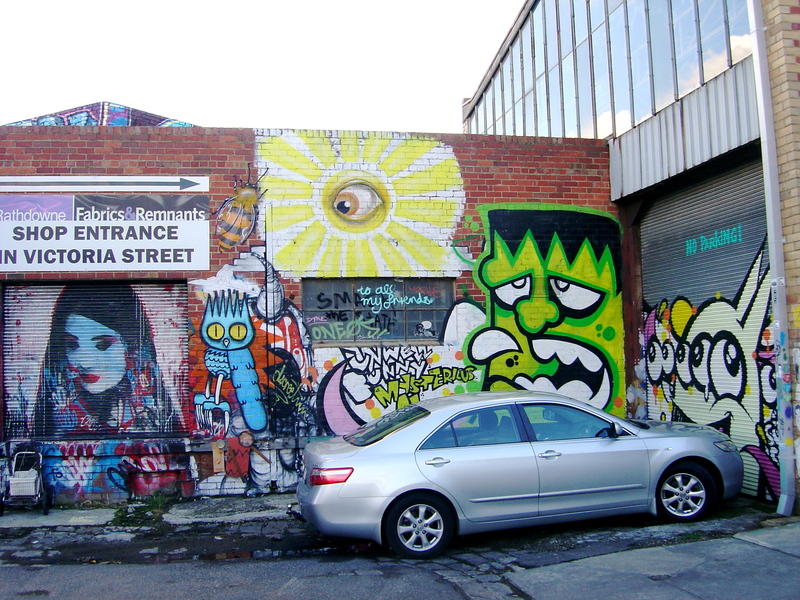 In the inner city, Hosier Lane is just off Flinders Street and Fitzroy or Collingwood are just short tram rides away. The centre of Melbourne is a 1.28 square kilometres of shopping, business, residential, entertainment, restaurants and government buildings defined by Hoddle’s grid of streets. Melbourne’s main streets, as originally surveyed by Hoddle are 99 feet wide with the smaller street 33 feet wide. (A geomancer with a numerological bent should be able to do something with those numbers.) Weaving between the streets are the lanes that makes an excellent, if discreet, surfaces for street art. If you think that all of Melbourne’s lanes are full of street art, you haven’t looked down enough there are so many. Melbourne has a vibrant street culture; I go away for a few weeks and my email box is full of posts from Arty Graffarti. Taking a ride around Brunswick today I saw many fresh pieces and some guys starting some more in Ilham Lane, north of Tinning Street. They had just started on the outlines when I passed buy and more writers were arriving for an afternoon of paint. On a sunny day it doesn’t really matter what your ranking in the world is. * Paintspotter, noun, definition: like a trainspotter but for people who look for street art and graffiti (a portmanteau word coined by Fletcher “Factor “Anderson of Invurt). This entry was posted on Thursday, May 23rd, 2013 at 9:40 PM	and tagged with Brunswick, Cedar Lewison, graffiti, Land of Sunshine, Melbourne, stencil art and posted in Street Art. You can follow any responses to this entry through the RSS 2.0 feed. Copyright © 2018 Mark S. Holsworth All rights reserved.